This is the place that made me fall in love with traveling. The park attached to the cathedral is my favorite place in the world to sit, in complete silence, with a baguette and cappuccino. No matter how many times I see it, walk past it, sit in front of it or look at pictures of it, the feeling of awestruck that came over me when I first glanced at the cathedral never lessens. On another note, while an insane amount of people are shoving themselves into the front entrance, it’s as if no one knows the back is where it’s at. Benches under trees and surrounded by flowers and await those who are smart enough to navigate around the massive crowds; in my opinion, the view of the architecture is much better. Not only is the cathedral itself much more appealing at this angle, but great views of the left bank are also visible. 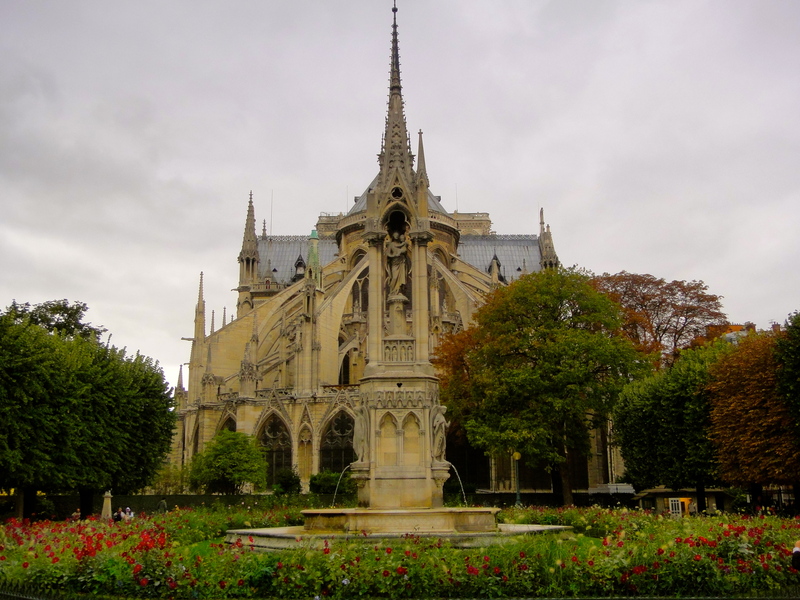 If you want to experience Notre Dame like I enjoy, hop off the Metro at Rue de Rivoli, walk along the Seine and watch the towers of the cathedral become closer and closer until…. BAM! There it is! What is the one place or moment that made YOU fall in love with traveling? I’d love to hear about it!